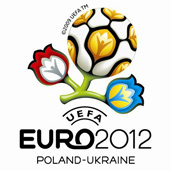 ﻿ EURO 2012 » Poland To Organize Euro 2012 Alone? EURO 2012 > Euro 2012 > Poland To Organize Euro 2012 Alone? After reports during Euro 2008 that Poland and Ukraine may lose Euro 2012 Michel Platini’s visits to both countries were treated as enormously important by organizers. Platini didn’t say much while in Poland, which can be read as a good sign, whereas he criticised Ukraine severely when meeting local officials. As a result, UEFA now demands that Poland prepares an allternate plan to organize the tournament all by itself. Ukraine has no problems with stadiums, which are almost finished in Kharkiv, Dnipropetrovsk and Donetsk. One stadium is to be built in Lviv, whereas the one in Kiev is to be renovated. The latter causes most problems, as the buildng company is yet to be chosen. Ukraine’s biggest drawback, however, is the lack of infrastructure, that is roads, hotels and airports. Platini wasn’t satisfied with the reports given by Ukrainian politicians and voiced his concerns clearly. To further threaten the Ukrainians news broke out that Poland may organize 2012 alone. Is it possible? I don’t think so. UEFA is clearly playing games to motivate both host countries to speed up their actions. Even before the visits there were rumours that we may lose the tournament because of some organizational delays. Polish sport minister, Miroslaw Drzewiecki, said that those rumours certainly don’t help the organizers as the contractors, thinking that we’re under pressure, raise their financial demands. I think there should be more trust on the side of UEFA; I can’t imagine that Poland blows such a chance for worldwide promotion. No other country had all the facilities prepared 4 years before the tournament so why UEFA expects it from Poland and Ukraine? Today, we’re in the stage of planning; tomorrow we must start building. I think that the next year will be decisive; if everything goes according to plan I’m sure Euro 2012 will be one of the most exciting and well organized tournaments in history. No need to panic just yet, no need for unnecessary pressure. I hope our Ukrainian friends realise how much our countries can gain because of Euros and start working their hands to the bone. Let’s show UEFA and whole Europe that we’re capable of great things.